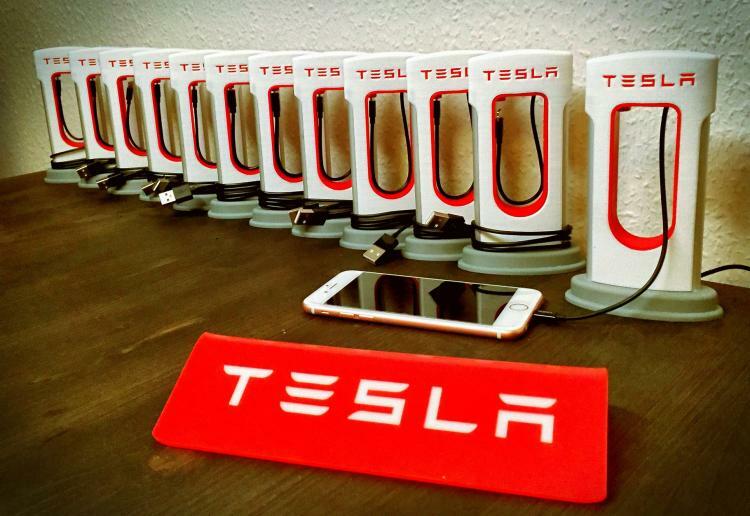 If you consider yourself a Tesla fanatic, I can only assume you already have a mini Tesla phone charger, if not, than a Tesla fanatic you are not. 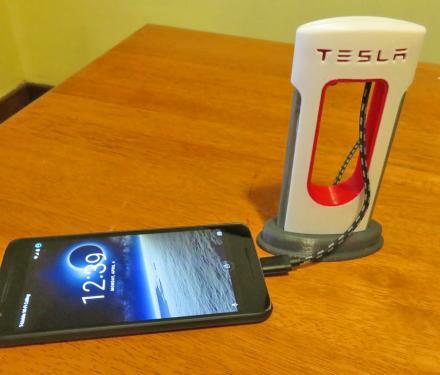 This Tesla phone charge is made to look just like a supercharging station that Tesla cars charge on while out on the go, and is actually made using a 3D printer. If you happen to own a 3D printer already, they provide the necessary STL files to create the Tesla phone charger on your own for free. 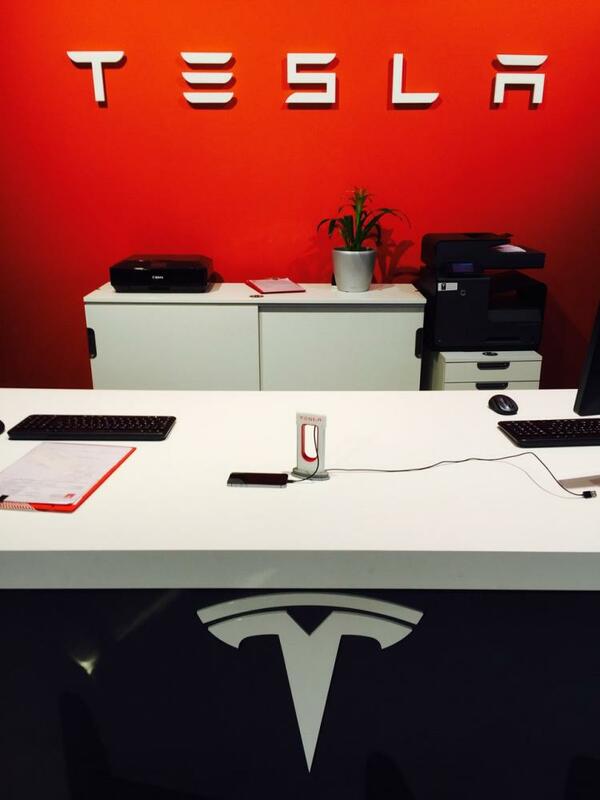 But since most don't own a 3D printer, they also sell you them in true Tesla fashion at a nice mark up. 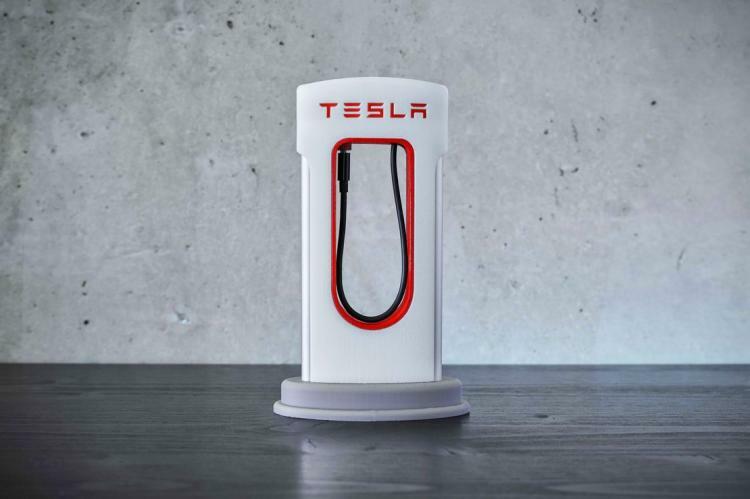 The Tesla supercharging station phone charger is available for phones and devices that use a Micro USB cable as well as a Lightning cable, so pretty much any Android or iOS device. 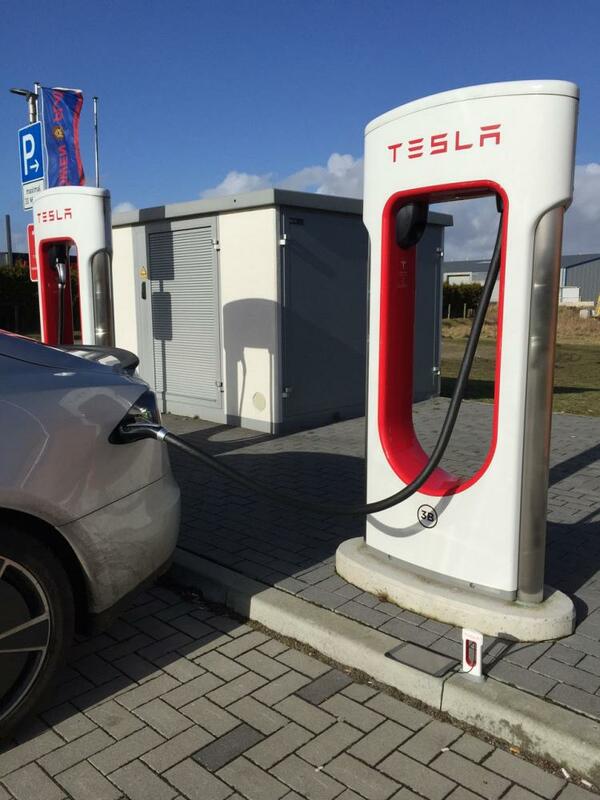 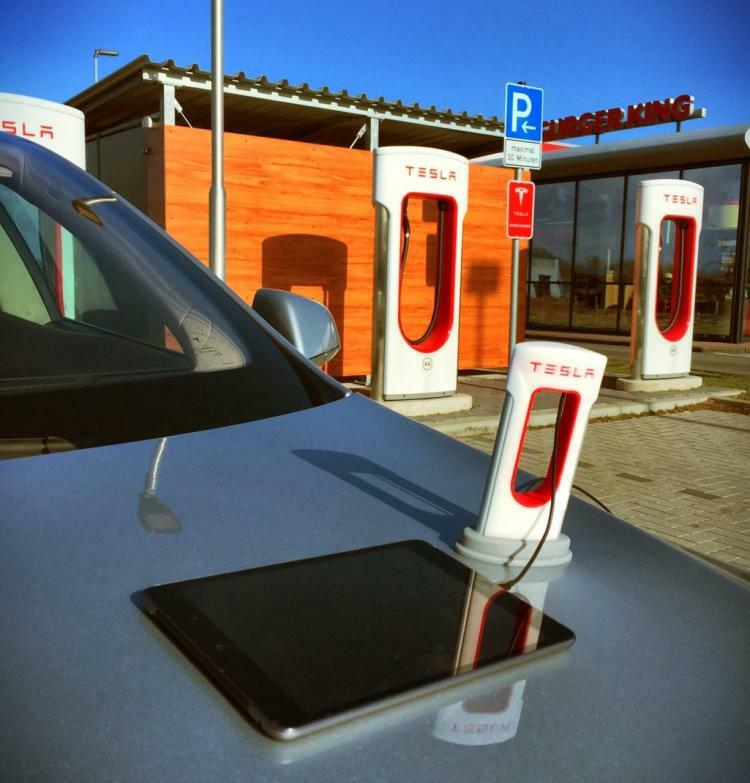 To use it simply unplug the mini cable from the supercharging station just like you would do when charging your actual Tesla car, but instead plug it into your phone. 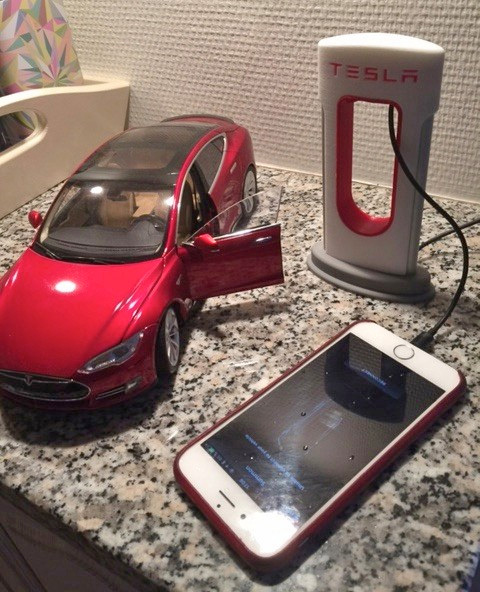 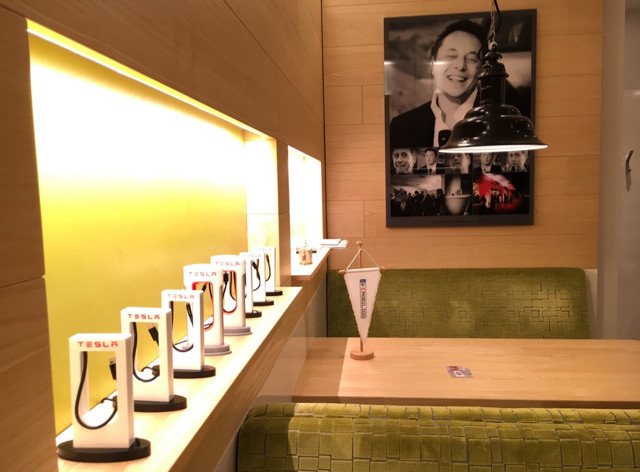 The Tesla charging station phone charger is made using selective laser sintering materials, are extremely realistic looking, and are able to be shipped worldwide.